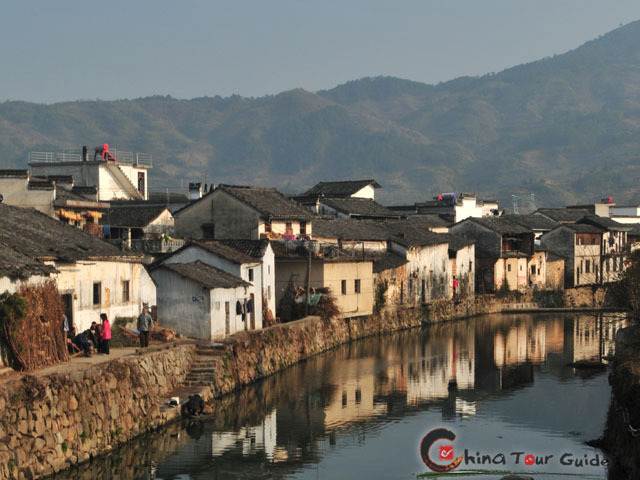 Many of the decorative carvings of Huizhou (the old name of Mt. 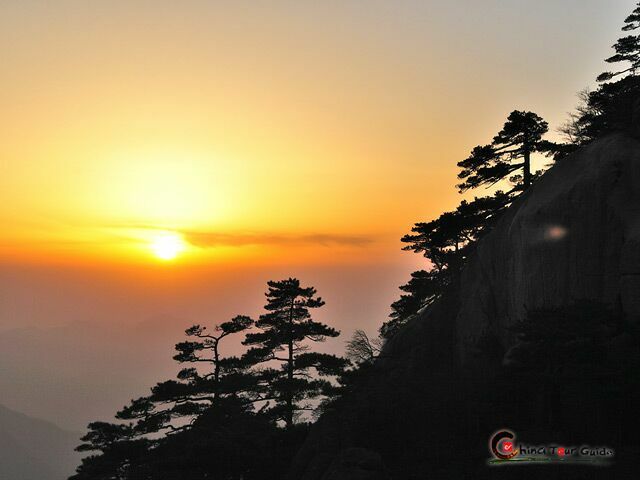 Huangshan area) dating back to the Ming and Qing Dynasties are still well-preserved at present. 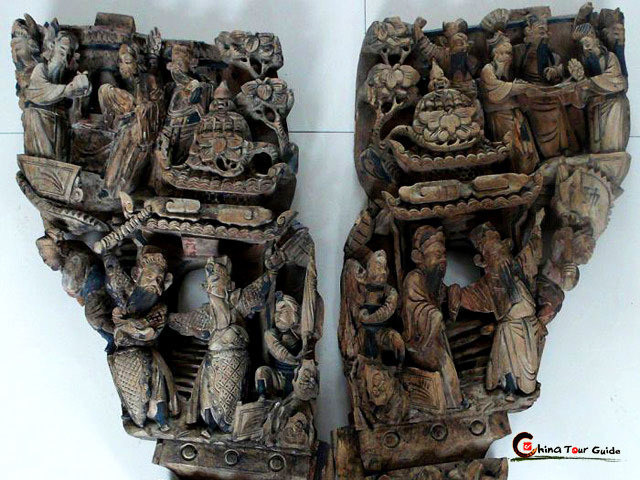 These exquisite carvings are reputed as Hui-style Carvings (also Huizhou Carvings). 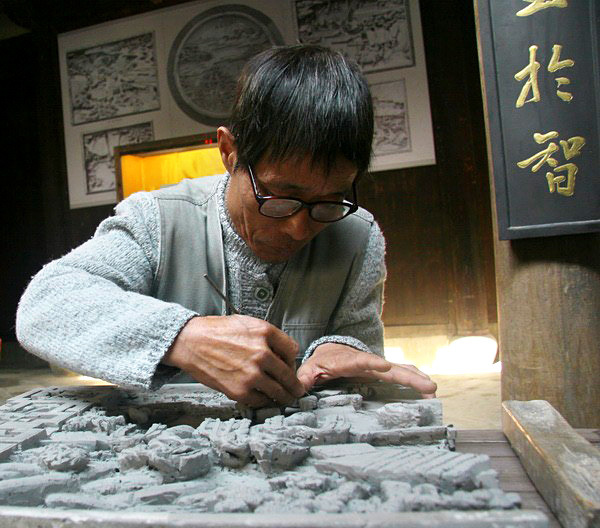 There are three main types of Hui-style Carvings: brick carvings, stone carvings and wood carvings, all of which are of high artistic value. 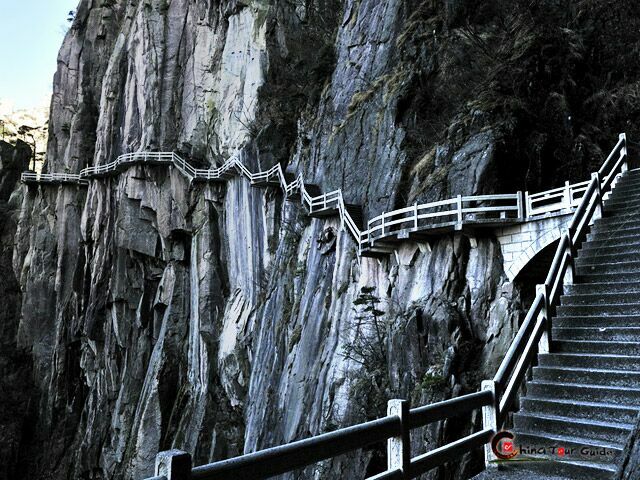 These three famous types of carvings are best represented in the region neighboring Huangshan City, such as the Xidi Village, Hongcun Village and Tunxi District. 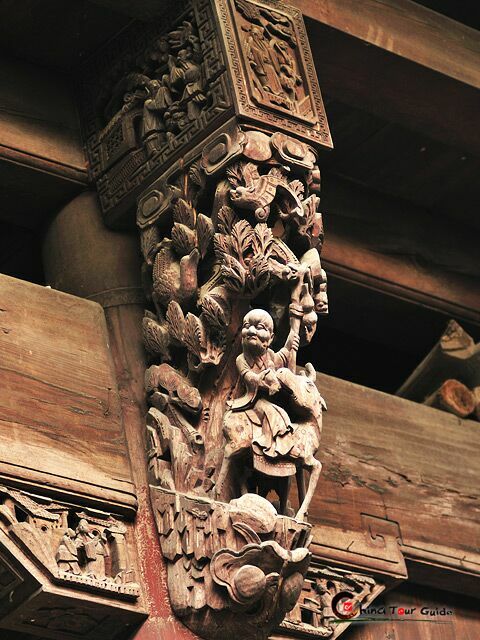 The carvings were mainly used to decorate all kinds of buildings, from personal residences to temples and ancestral halls. But their scope wasn't limited to large structures. Fine patterns were also cut into a variety of household objects such as furniture and vases. 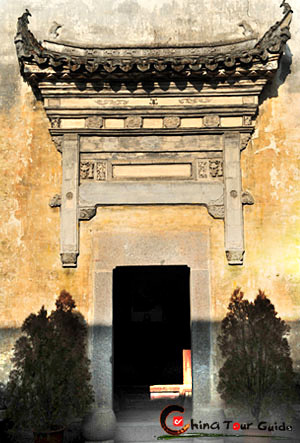 A feature of Hui-style Carvings is its harmony with the building itself. Traditional Chinese believe that all of architecture, from the layout to direction, to small details, must be in balance with man and nature. The carvings are meant to enhance the natural beauty of the structure rather than to draw attention. Be it wood carvings, brick carvings, or stone carvings, a great amount of skill and intense focus is required. One small mistake can put days of work in vain and destroy the object itself. Generally speaking, local carvers start to learn calligraphy and drawing in a very young age before actually carve. 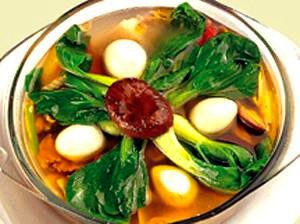 Only those who can overcome difficulties finally become skilled carvers, and only a few can become masters. The carving patterns sometimes can tell a story. 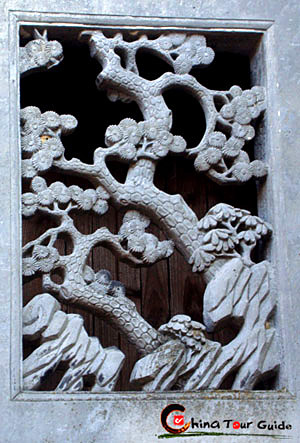 For example, a window cared with branches and thorns may mean the difficulties of academic study, while one with plum flowers indicates the success of imperial exams and a post in the government. 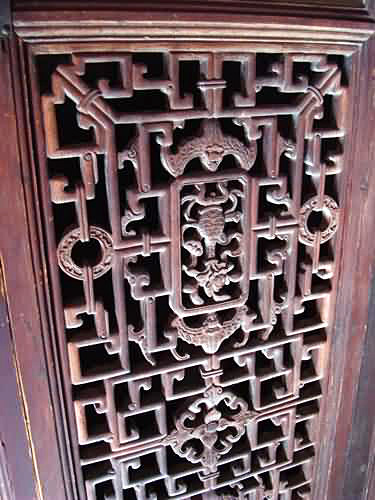 The carvings reveal how the Chinese techniques have been carefully passed down since the Han and Tang Dynasties while allowing some room for adaptation to the local Hui-style. The masterpieces there are an undying testament to the art and culture that serves as a foundation for the whole country.